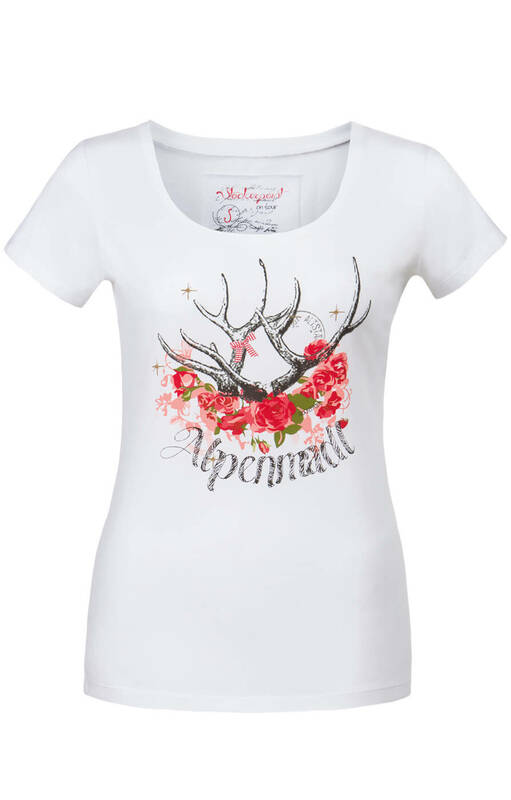 Trachten T-Shirt Sara in White. 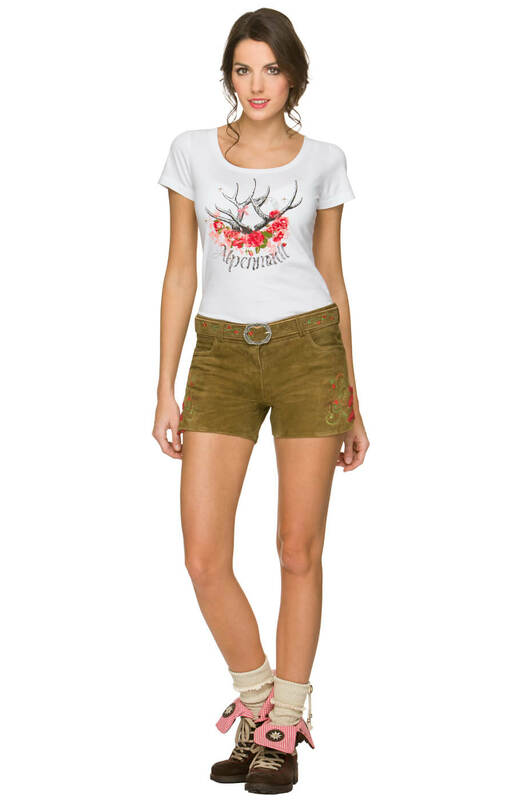 It's time to show your true colours with this Sara short-sleeved Trachten top. Paired with a light jacket, it looks great for everyday activities, or combine it with one of our traditional blouses or a dirndl for a comfortable and laid-back Oktoberfest look. 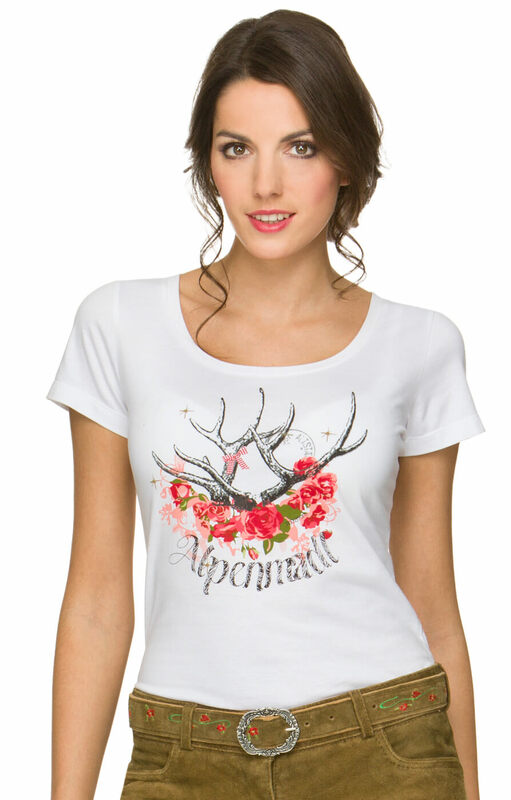 Its vintage-look print includes a few trademark nods to the Stockerpoint range, such as the red and white bow on the antler, and a cool “Alpine girl” motif – relaxed, stylish and confident.